The three-day event, the 14th CineAsia film awards was once again held in Beijing after its huge success last year. It is the biggest event for motion picture and theater industry professionals in Asia. 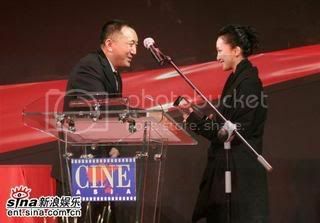 This year, China won 3 awards in which Zhou Xun received The Best Actress.